Stone or water, both are excellent at absorbing solar heat and then slowly releasing it after sundown as the conservatory cools. In the morning, as the sun starts to heat the conservatory, the stone and/or water absorb that heat to keep the temperature down. Use slab stone meant for outdoor paths as your conservatory floor. 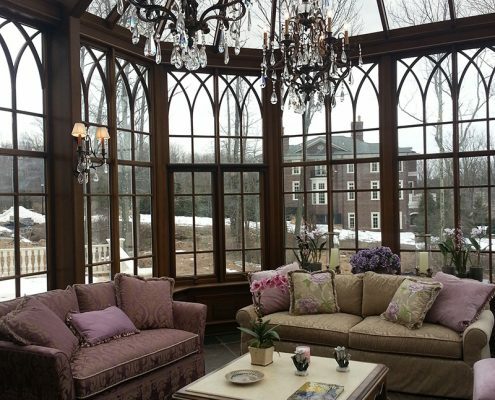 Or, create a 5’x5’x18″ water lily pond in your conservatory. Both will do an excellent job of slowly absorbing and then releasing the sun’s energy. 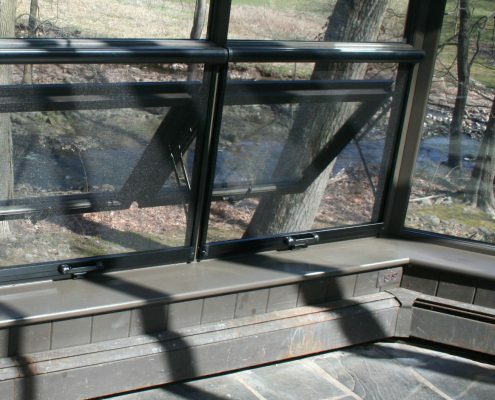 Worried about the pond’s humid air fogging up the glass? Keep fans on and active, this will even out the temperature throughout the conservatory and will prevent condensation on the interior glass. We heat floors in two ways. One is electric cable, the other is fluid filled pipes called Hydronic. Electric is cheaper and easier to install, but it costs more to operate. Hydronic costs more to install, but costs less to operate. 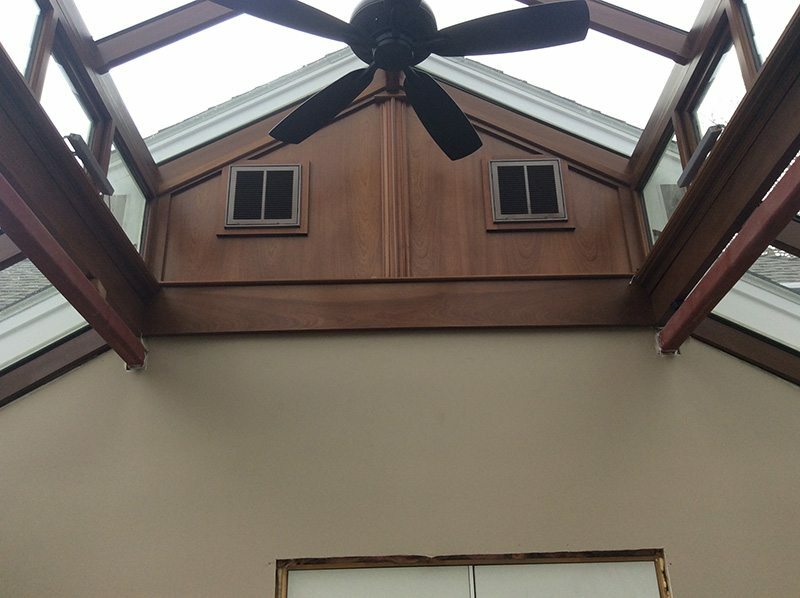 Both of these options are not instant heat sources, they heat the room slow and steadily, so we will typically recommend a secondary heating source like baseboard (electric) heating to heat up your conservatory right away. A recent addition to our repertoire is the Mini Split. 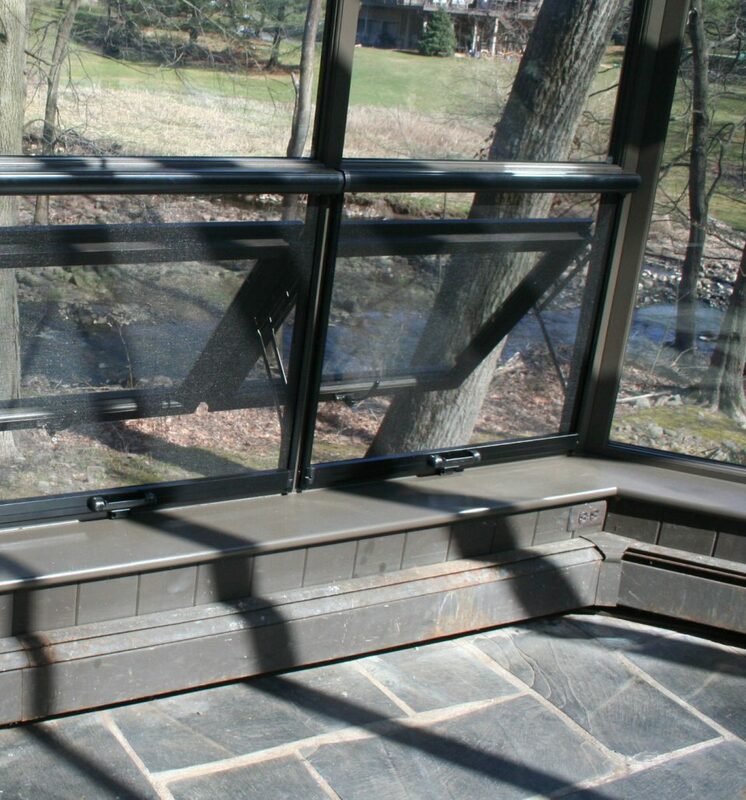 This is a wall unit that is separate from the condenser, which is positioned outside. This unit will circulate air, cool air and hot air, and is considered a heat pump. However, most heat pumps are not effective below 0º Fahrenheit so the temperatures of your location should carefully be considered before choosing this option. 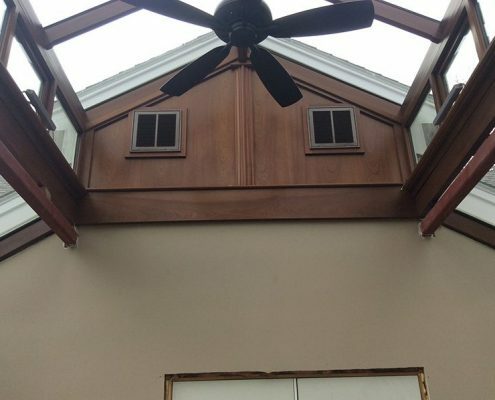 Almost never installed in a new conservatory, baseboard hot water heat is usually found in one of our existing conservatory repair, replacement or upgrade projects. 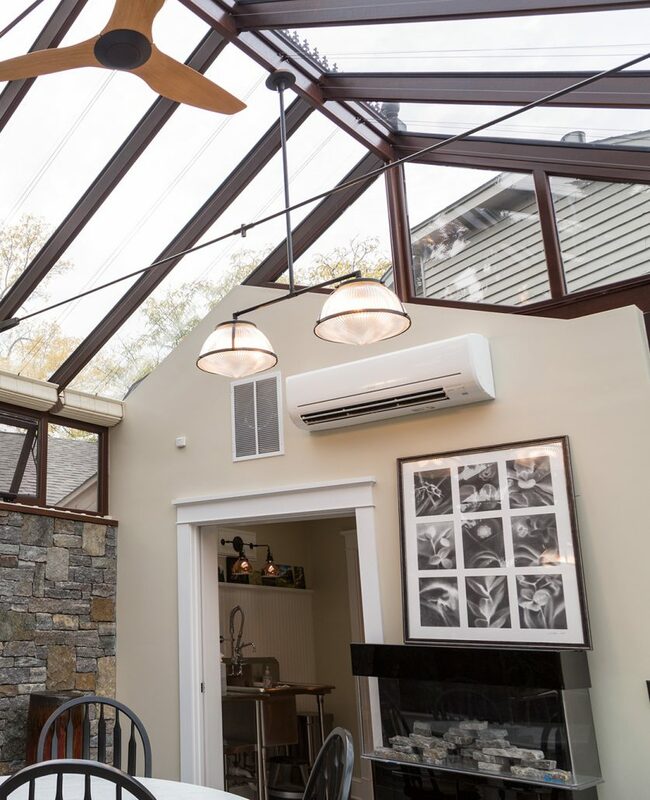 Heat exchange (also known as heat recovery) is a method that will conserve warm air from the conservatory and pump it into the house on a sunny winter day. 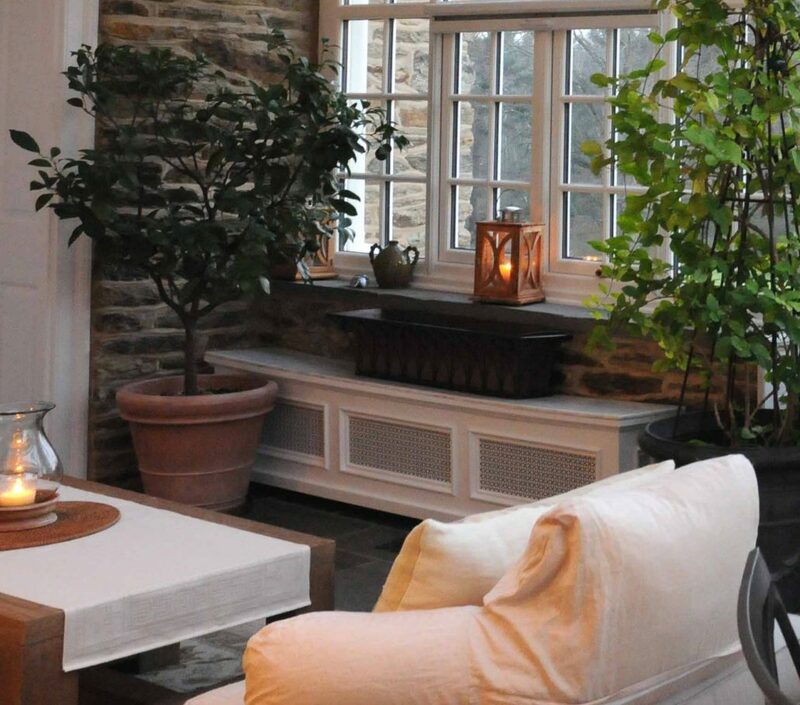 In the summer, we reverse the process and take heat out of the home and pump it outside. 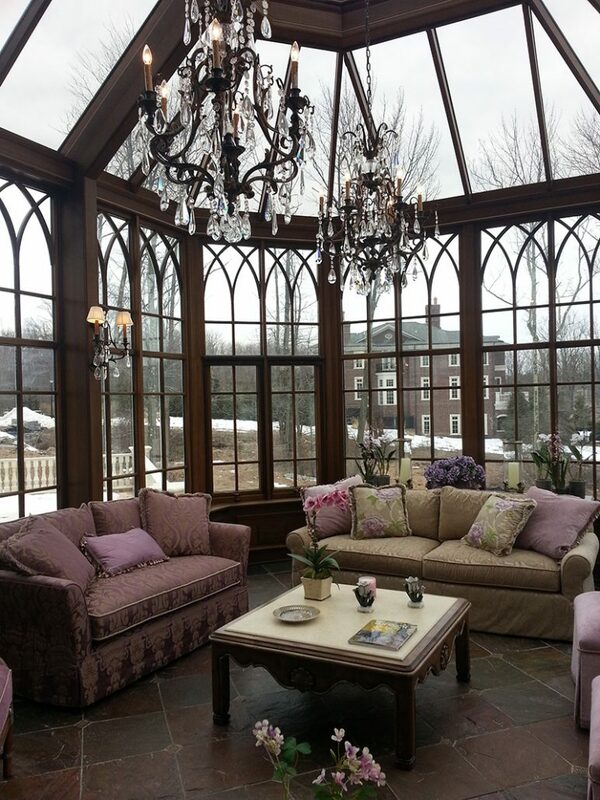 This is a tried-and-true method of heating an add-on room like a conservatory. 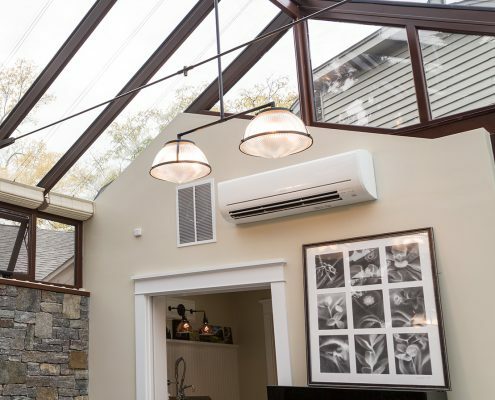 However, there are some downsides to this method, which is why we recommend using it in addition to another heating/cooling method for your conservatory. The temperature tends to fluctuate quickly and to a broad degree. Many people find these elements unattractive and antiquated in nature. Your heating costs will tend to be significantly higher.